Tottenham Hotspurs will look to lean on Harry Kane and his goalscoring form to keep them dangerous in the Premier League. With a talented midfield and a tough defense, Tottenham should challenge day in and day out. The squad features many players who can use their youthful ambition to help the team battle. With Kane, Christian Eriksen, Andros Townsend and more, the Hotspurs will make their mark on the league. The new 2015-16 Under Armour Tottenham away jersey features a great blue and black design and the Moisture Transport System to keep you dry and comfortable no matter where you are. Get your Under Armour Tottenham Hotspur jersey today and show your love of this English squad. 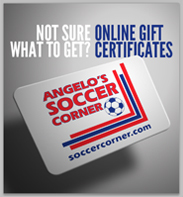 Get all your club gear today at SoccerCorner.com. CUSTOM PLAYER JERSEYS: We offer the full range of the Tottenham roster available on the Under Armour away jersey. If you do not see the player that you would like, please go to the CUSTOM Tottenham Away jersey page. If you choose the Player Jersey option, these jerseys are customized and cannot be returned or exchanged. Custom names on the jersey adds additional processing time. Please allow 2-3 business days for processing.